Police officers are one of the most important elements in any society. They are tasked with upholding and enforcing laws, patrolling their jurisdiction, all in an effort to ensure that citizens are kept safe. Due to the high degree of responsibility that comes with the job, becoming a police officer involves rigorous training. An individual interested in this career path would have to meet a number of qualifications, pass certain tests, undergo physical training, and much more. As of 2016, New Mexico had a total population of 2,081,015, making it the 36th most populous state. Located in the Southwest, New Mexico is a mix of mountain landscapes, high plains, and rugged dessert terrain. It boasts a very large Native American and Hispanic population, and much of the culture here is influenced by that fact. With an unemployment rate of 5.9% (well below the national average), New Mexico is an idyllic place to live. To keep it that way, the police force in New Mexico needs to be of the highest standards. If you are interested in becoming a police officer in New Mexico, here’s what you’ll need to know. What are the requirements to become a police officer in New Mexico? To become a police officer in New Mexico, you need to meet strict requirements which are set out by the New Mexico Law Enforcement Academy Board (NMLEAB). The NMLEAB is not only responsible for certifying all police officers in the state, it also runs the only training academy in New Mexico. 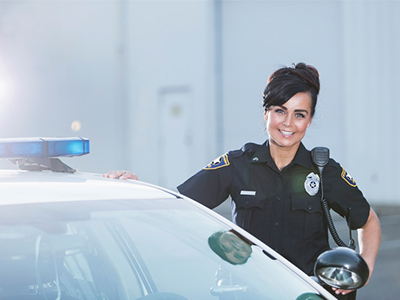 To become a police officer, you will need to be hired by a police department, meet all the minimum qualifications, and undergo training at the academy. Before you begin training at the police academy, you will need to pass a number of tests. This includes background check, psychological evaluation, medical evaluation, and drug test. You will also need to clear a polygraph test and pass an entrance exam. There is also a physical fitness test which tests your physical capabilities. What does the New Mexico Police Training Academy entail? Once you have passed all of the required tests and cleared the board interview, you will need to enroll in a 26-week training program at the New Mexico Police Training Academy. During this period you will take part in rigorous physical training as well as theoretical training in all of the essential duties of a police officer. Once you have completed the training program there, you will need to go through a minimum of three months of supervised field experience. Once your reporting officer clears you for duty, you will be able to work independently. New Mexico is not one of the more populous states in the country and therefore doesn’t employ as many police officers as other states would. As can be deduced from the abovementioned table, police officers’ jobs are not predicted to increase at a high rate from 2014 to 2024. Therefore, keeping in mind that this field is not one of the hottest fields in New Mexico, make your decision accordingly.